Golf apparel brands have been turning up the volume the last few years with eye-popping colors and aggressive patterns. Based on Sir Isaac’s law, it shouldn’t be a surprise that we are seeing a counter reaction to this loud and proud era with some brands embracing a more refined, retro-classic vibe. 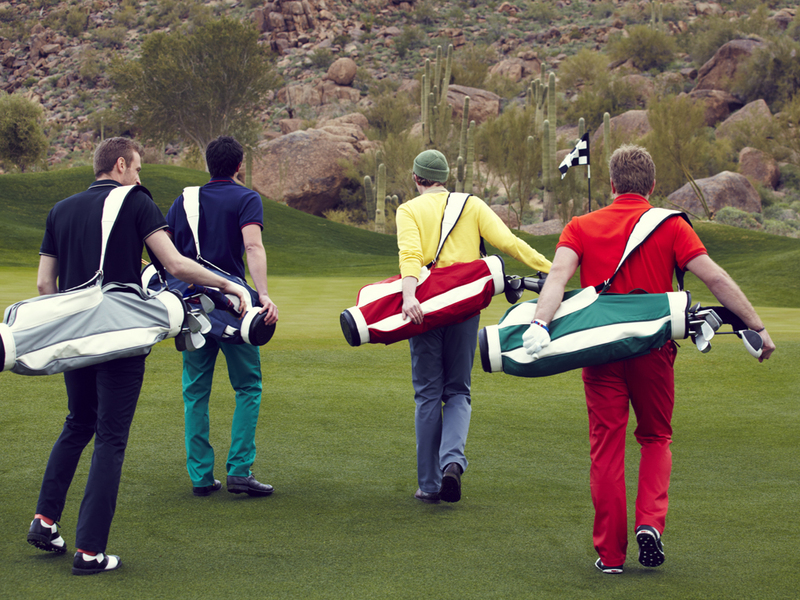 At the forefront of this movement is Maide Golf — the new golf brand from Internet-based men’s clothier, Bonobos. The folks at Bonobos have been making us guys look good at the office, on the town and at the beach for several years now, so making us look good on the course is a natural extension of what they already do. 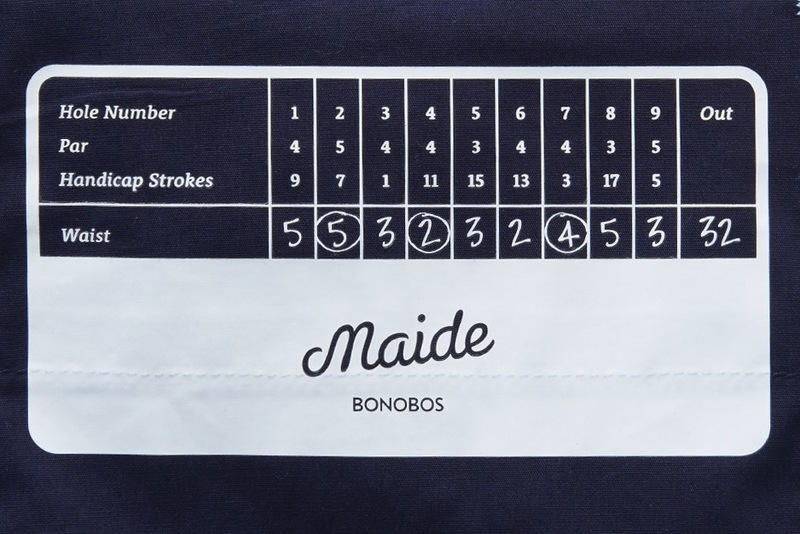 Bonobos has offered a line of golf apparel for a couple of years, but the 2013 line has its own unique identity under the Maide Golf label. One peek at the lookbook from Maide Golf and it is easy to be transported back to the Golden Age of golf when Arnold Palmer’s swashbuckling style ruled the fairways. Solid pants and polos with tipped collars and banded sleeves make me want to find a persimmon driver and a balata ball. Kudos to the folks at Maide Golf for using the single-strap Original Jones Bags, vintage-looking Seamus Golf head covers and classic FootJoy Icons in their lookbook. They are the perfect complement to the brand’s understated, classic style. I had the opportunity to put the Berwick polo and Barton shorts from Maide Golf to the test and walked away thoroughly impressed with both. I’ve talked a lot about the return of cotton this year. The Berwick shirt from Maide Golf is a great example of how cotton and high-tech polyesters are being blended to provide top-shelf performance, while maintaining classic good looks. 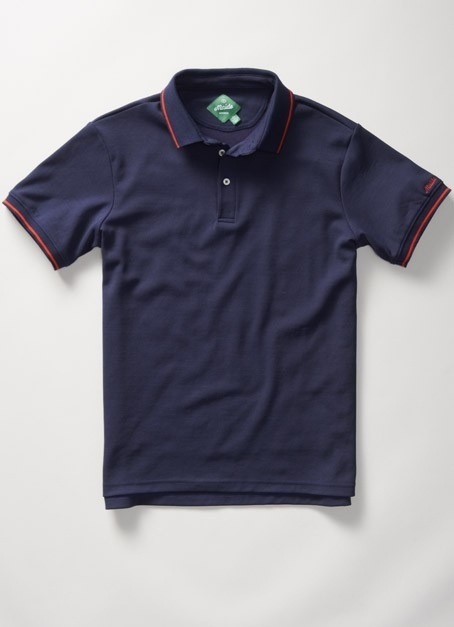 The 3-button placket, flat ribbed color and banded sleeves on the Berwick are straight up old school. While this shirt has a vintage look, its performance is on par with other modern, moisture-wicking shirts. The Berwick runs true to size and the fit is modern and athletic. This keeps you on-trend without having to compromise your own swashbuckling style. I like that the shorter, narrow sleeves offer just the right amount of room and they hit where sleeves should hit–at the middle of the bicep. The first thing I noticed about the Barton shorts was the material. The Bartons look like a traditional cotton twill pair of shorts, but they are actually constructed of 100% performance polyester that has a water-resistant and stain-resistant feel (perfect for summer rain showers, sunscreen and spilled sport drinks). The fabric was also a touch heavier than I was expecting, but the breathability and performance of the shorts was still top-notch. The heavier feel did give the Bartons a sturdy, well-constructed feel. The Bartons have some great, golf-specific features. I hate looking sloppy on the course, but constantly having to re-tuck my shirt is a pet peeve. I was thrilled to see that Maide Golf included a small piece of gripper tape on the waistband to combat this. As a result, I had no issues with the tail of the Berwick shirt coming untucked on the course. The waistband has a slight curve for added comfort and the snap has a unique locking mechanism. 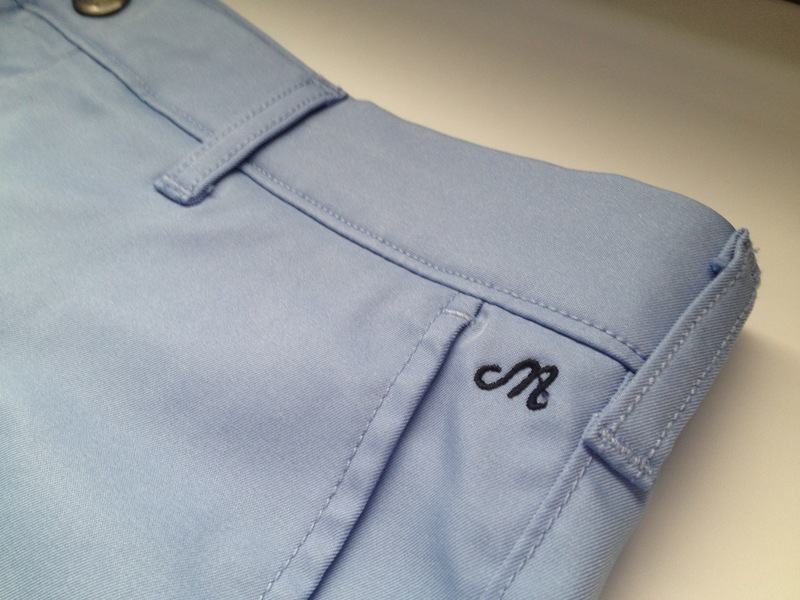 The front and back pockets are deep, allowing easy access to tees, ball markers and scorecards. An added “golfy” touch is the “scorecard” size label on the inside of the shorts (the 9-hole score adds up to your waist size). 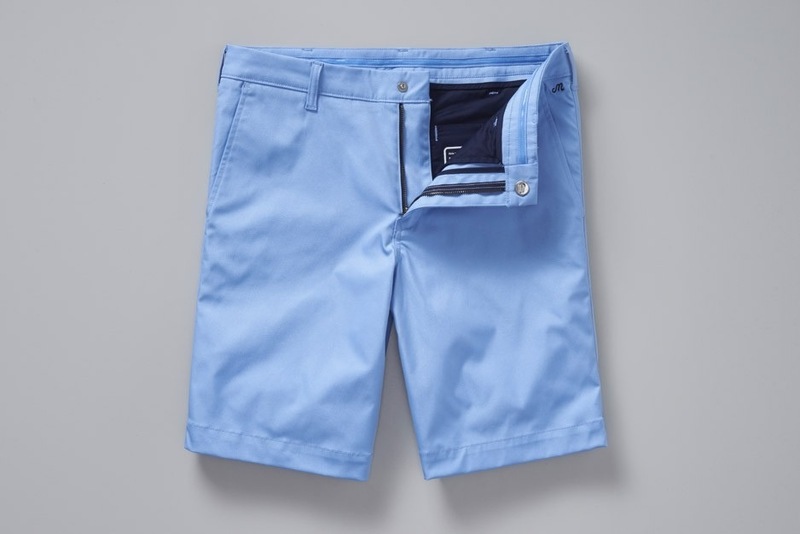 Like the Berwick polos, the Barton shorts run true to size. Looking at the images of the Barton online, they seemed slim, so I sized up. This was a bad decision as they ended up being too big. Thankfully the folks at Maide Golf and Bonobos are awesome at returns and exchanges, and I soon had a pair that fit. The cut of the Barton shorts is sleek through the hips with a nice amount of room through the thighs. They hit about an inch above my knee — a bit shorter than most of the golf shorts I’ve worn over the years. Don’t worry, though. The Bartons do have a 10″ inseam, so we aren’t talking about 1970s basketball shorts here. Plus, the trend in shorts this summer is a touch shorter and less baggy than years past, so you’ll be on-trend in the Bartons. Every man’s wardrobe should be built on basics, and Maide Golf provides a great foundation for on-course and off-course looks. Ironically, in an era where brands are trying to grab the attention of golfers with neon colors and crazy patterns, Maide Golf’s effortless style will actually make you stand out from the crowd — without having to get on the crazy train. Maide Golf’s refined looks are also perfect for business outings or trips to a friend’s country club. 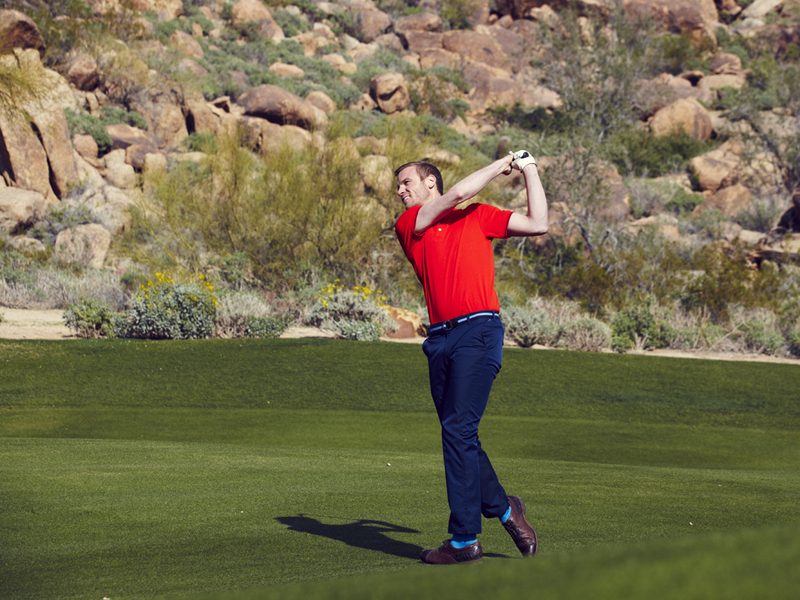 In addition to shirts and shorts, Maide Golf offers pants (made from the same performance polyester material as the Barton shorts), sweaters and t-shirts. Check out Maide Golf on the web at www.MaideGolf.com and on Twitter and Facebook. Also, if you are lucky enough to live in or around Austin, Boston, Chicago, New York City, San Francisco or Washington, D.C., you can visit one of Bonobos’ Guideshops to try on Maide Golf apparel before buying it. Big fan of the balance Maide seeks to achieve and like the overall “look” of their line. I haven’t had the chance to check out their shirts, but I do think the heft of the polyester of their shorts leaves you buying (what looks like) a cheap raincoat material. At that price point, you should be able to win in functionality and appearance.